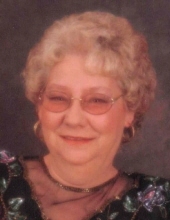 Marjorie Joan Beeson, 76, of Pana passed away Saturday, March 30, 2019 in her home. She was born December 8, 1942 in Coshocton, Ohio, daughter of the late Curtis & Cora Mae (Little) Engle. She married Robert Beeson on December 26, 1963 and he preceded her in death on March 12, 1985. Joan worked for the United State Postal Service, retiring in 2002. She was a member of the Eastern Star & Pana Eagles. She enjoyed crocheting and playing cards. Joan is survived by her nieces & nephews: Jason (Dale) Beeson, Jeremy (Jennifer) Beeson, Stacy (Travis) Vail, Billy Beeson, Tim (Julie) Mills, Rusty (Tammy) Mills, Dan (Mary) Mills, Kevin Beeson, Michelle (Tracey) Yerkes, Crystal (Kevin) Aukamp, Pam Riggs; best friends: Wanda O’Rear & Donna West; brothers & sisters-in-Law: William & Ivy Beeson, Sheila Mills, Dennis Beeson, Jerry & Patty Beeson and many great nieces & nephews. Funeral services will be held on Wednesday, April 3, 2019 in McCracken-Dean Funeral Home at 12:00 p.m. with Pastor Kevin Beeson officiating. Burial will be in Linwood Cemetery, Pana. Visitation will be Wednesday from 10:00 a.m. until service time in the funeral home. Memorials in Joan’s honor may be made to the donor’s choice. "Email Address" would like to share the life celebration of Marjorie Joan Beeson. Click on the "link" to go to share a favorite memory or leave a condolence message for the family.